Archer's Transport is a leading provider of distribution within the UK for the 'material handling industry', providing nationwide coverage from 2 depots and a fleet of over 30 vehicles. Archers Transport, Allen End Garage, London Road, Middleton, Nr Tamworth, Staffordshire. B78 2BP. 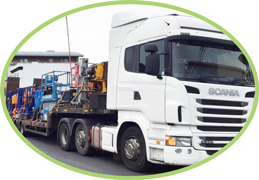 We are the largest independent transporters of Mechanical Handling Equipment and Associated Plant in the whole of the UK. 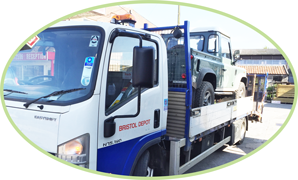 We currently operate a fleet of 35 tractor units and 50 trailers, all of which are low loaders or semi low loaders, which allow quick and easy access for forklift trucks. Hall Lane, Manor Works, Woodley, Stockport, Chesire. SK6 1PR. Our fleet of step-frame trailers have been specifically designed for the easy and safe loading of all types of materials handling equipment. Brit European Transport Ltd, The Courtyard, Radway Green, Crewe, Chesire, CW2 5PR.